Nothing stops the Lehvak! 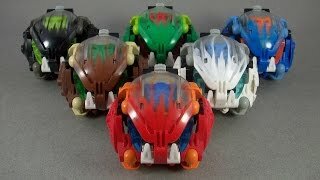 The Lehvak are the only Bohrok swarm designed for combat. Using their crushing shields and dissolving spray, they exist to destroy anything that lives on Mata Nui. Clever and unpredictable, stopping the Lehvak may be the Toa's greatest challenge! With their krana removed, they are still highly difficult to tame.